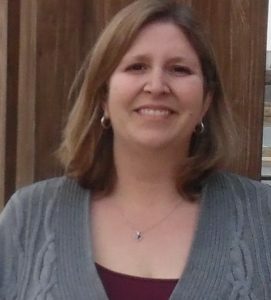 Mrs. Miller has extensive experience working with children and adolescents with learning, behavioral, social, and emotional needs. Mrs. Miller holds a Master’s Degree in Psychology and a Certificate of Advanced Study in School Psychology. Mrs. Miller is a nationally certified school psychologist, and has served in a public school setting for 11 years. She specializes in the assessment of learning and social/emotional/behavioral needs, as well as the provision of behavioral consultation services. Prior to her career as a school psychologist, Mrs. Miller worked at Kennedy Krieger Institute, where she served children with severe behavioral needs, as well as children with autism spectrum disorder. Mrs. Miller has served as an adjunct faculty member at the Community College of Baltimore County and Towson University, and has taught psychology courses at both the undergraduate and graduate levels. Additionally, Mrs. Miller has taught a variety of professional development courses to promote positive practice and support for children and adolescents. As a member of The MINDset Center, Mrs. Miller conducts psychological and educational evaluations. She holds a registration as psychology associate in the state of Maryland under the license of Dr. Shreya Hessler.